The family farm, the idyllic symbol of American life that politicians and policymakers always pledge to preserve, is alive and well – even flourishing – on an organic dairy in the Two Rock Valley west of Petaluma. Here in the sprawling Sonoma-Marin Cow Belt three generations of the DeBernardi Family work together to produce cows’ milk and goat cheese on rolling coastal farmland that spreads over 2,000 acres of owned and leased property. The beautiful grassland is a slice of heaven for man and beast. The cows and goats are happily content and so are the hardworking DeBernardis who tend the herds 365 days a year, holidays included. ‘‘Dairy farming is a great family life because the kids are always with us when we are working no matter if it’s the barn or the fields,” said Don DeBernardi, 80, the family patriarch who wanted to be a dairy farmer ever since he was a kid. When he graduated from Petaluma High School in 1957, he started building his dairy business one heifer calf at a time while working as a clerk at the historic Volpi’s Market in Petaluma. Today he’s milking 700 cows that are certified organic and hand-making goat cheese in the tradition of his ancestors in the Swiss Alps. Wife Bonnie, a working partner and the keeper of the family’s 200 dairy goats, agrees there is no better place to raise a family. The DeBernardis have three children and nine grandchildren. Bonnie said it’s hard work and long hours but everyone pitches in to get it done, strengthening family ties and uniting everyone with a sense of purpose. And pride. In addition to their work on the farm, the DeBernardis are involved in agriculture organizations and the community. 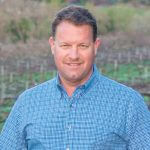 Don has served as a director of Sonoma County Farm Bureau for 50 years including two years as president. 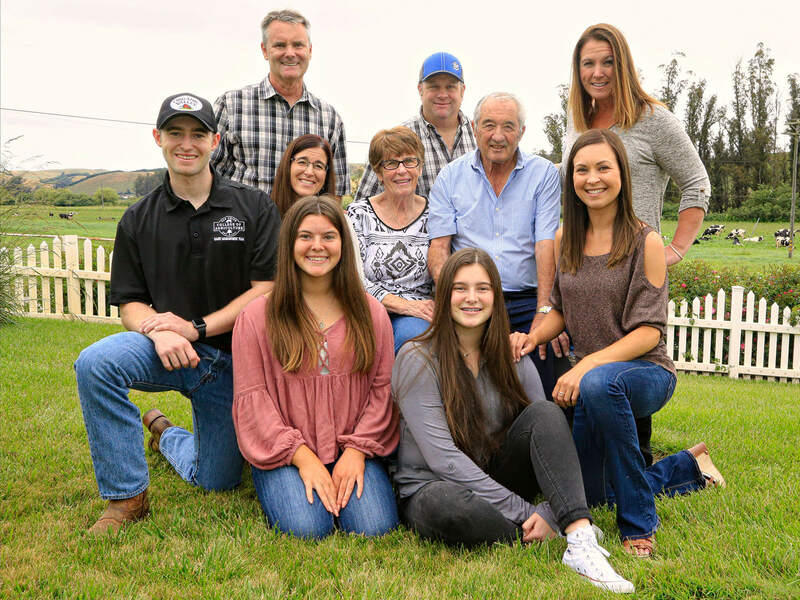 The DeBernardi Family’s passion for farming and their outstanding leadership in Sonoma County’s agriculture community made them the unanimous choice as Sonoma County Farm Bureau’s 2018 Farm Family of the Year. The award annually recognizes a farm family that is an integral part of the economic and social fabric of the county’s close-knit farming community. Farm families like the DeBernardis are the heart and soul of Sonoma County agriculture, upholding the rich farming heritage that defines the region. 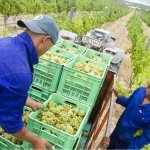 The DeBernardi Family will receive the award at Farm Bureau’s Love of the Land celebration on July 12 at The Pavilion at Richard’s Grove – La Crema Estates and Saralee’s Vineyard in Windsor. Other honorees this year are the late Al Gerhardt who is being posthumously inducted into the Farm Bureau Hall of Fame and Doug McIlroy, director of winemaking at Rodney Strong Vineyards, who is the recipient of the Luther Burbank Conservation Award for his leadership in water issues. “If the United States Department of Agriculture wants to profile today’s American farm family they should visit the DeBernardi ranch in Petaluma. The DeBernardi dairy business is definitely a family affair. The DeBernardis’ two daughters, Monique Moretti and Nicole Temple, are partners in the family business and are preparing to one day take the reins from their parents, ensuring that the DeBernardi dairy will continue as a family farm in Sonoma County. Each has a specific role: Monique oversees the cow herd, responsible for health, nutrition and breeding; Nicole handles the bookkeeping and purchasing of the grain and hay. They hold daily meetings with their father in an office of the family’s farm house built in 1897. Son Philip DeBernardi, the oldest of the DeBernardis’ three children, lives and works in Colorado where he is pursuing a degree in history. While proud of his ranching roots, history is his passion and it’s something he wants to share by becoming a teacher. Monique and Nicole’s children help out between school and their jobs off the farm. The family is focused on farming for generations to come. Amanda Moretti, the daughter of Monique and Mike Moretti of Petaluma, said her grandparents shaped her life, instilling love of family and community and an Old World work ethic. “It’s a signature saying that he has embodied every single day of his life,” said Moretti. Being Swiss though has served DeBernardi well over the last 50 years as he maneuvered the ups and downs of the milk market, high feed costs, environmental regulations and labor challenges to thrive. He’s adapted to the changes and challenges, putting money away during good times to keep going during the inevitable downturns in the dairy business. He’s invested in additional ranches with his milk profits, owning 1,200 acres of land and leasing another 800 acres. The land is used for grazing and for production of more than 7,000 tons of silage each year. “You have to grow as much of your own feed as possible,” said DeBernardi, particularly considering the profit margins today in organic milk production. Organic milk, once seen as a profitable niche market for North Bay dairy farmers, is not bringing the high prices it was several years ago. Since 2016 farmers have seen prices for organic milk fall by one third because of overproduction, one of the perennial problems in agriculture and especially the dairy industry. DeBernardi and his family plan to adapt and survive but it’s likely some of the 90 dairy farms in Sonoma and Marin counties will go out of business because of the flood of organic milk. “The organic milk market is never going to be what it once was,” said DeBernardi. “But I believe it will eventually level out.” DeBernardi sees the current market as yet another challenge as he braces to do whatever necessary to hold on to the family land and way-of-life. “We don’t know where this dairy business is going but we know changes are coming and we must move with the times,” said DeBernardi.